The Forecast calls for FAUX! Now that Fall is upon us, not only can a crackling fire within a beautiful Fireplace Surround warm a room—but so can some Faux Wood Beams. Nothing makes a room feel cozy and warm like the rustic look of wood—Faux Wood. A room decorated with Faux Wood Beams can instantly make a living space feel inviting and comfortable. Faux wood beams can be used in virtually any interior design setting, but the style utilizing the beams in abundance this season is the trendy Modern Vintage combo style. The rustic chic appeal that the Faux Wood Beams lend to this popular style is enticing because it presents a natural yet fashionable look. Faux Wood Beams accentuate the ceiling in addition to exuding beauty and warmth to a room setting. But the aesthetic allure is not the only advantage when decorating with Faux Wood Beams, they are also eco-friendly. Although Realm of Design Faux Wood Beams give the illusion of solid genuine wood, they are made of Euro-Lite High Density Foam (HDF) which consist of the highest quality lightweight polyurethane material. Faux wood beams are durable and will last much longer than real wood beams because they are impervious to splitting, moisture and insects. Also, the beams are virtually maintenance free–this makes them attractive to use when decorating exteriors as well as interiors. Faux Wood Beams are simple to install and can be easily stained a favorite wood color. So choose to be Glamorous and Green this season—Go Faux! Realm of Design offers a wide selection of Faux Wood Beams, Planks, Shutters, and more. For more information on Faux Wood products, dowload the Euro-Lite Wood Product catalog or call 702-566-1188.
https://realmofdesign.com/wp-content/uploads/2012/10/DSC00209.jpg 960 1280 Carla https://realmofdesign.com/wp-content/uploads/2018/12/logo.png Carla2012-10-18 16:32:202019-04-09 20:00:20The Forecast calls for FAUX! Home decorating accessories come in so many different forms and elements, it was hard to narrow the selection down to just three when deciding the must haves. But with Fall right on our heels, these pieces contain a classic beauty that added warmth and elegance to any space. Therefore, they are the top must haves! 2. Antique Iron Candle Stick Holders— these can be the perfect finishing piece. The natural rustic wrought iron can add a touch of romance and historical french influence to any room setting. Antique Iron Candle Stick Holders are a favorite of collectors because of the artistic hand forged detail put into each piece. These distinct candlestick holders are also useful and durable. 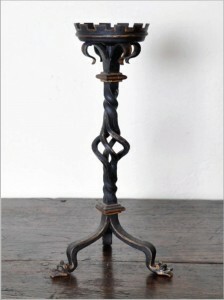 When purchasing Antique Iron Candlestick holders, make sure they are genuine and authentic antiques. Typically, they should be more than 100 years old. Antique Iron Candle Stick Holders will be the perfect antique piece that you will treasure and want to keep in your family and hand down for generations to come. 3. Wall Embellishment – This is the most important decorating piece to have if you are looking to add depth and dimension to a room. A Wall embellishment does more than just take up wall space, it creates a statement which sets the mood of the room. The decorative element can be bold even though the color of your embellishment may be neutral. This is beneficial because the piece can typically go with any wall color. 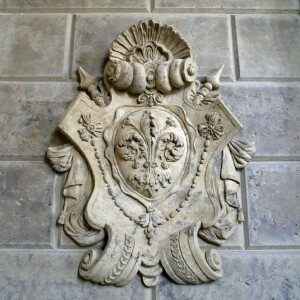 And Wall Embellishments not only make your room look unique, it makes it look expensive. Realm of Design offers a variety of Wall Embellishments in their online store or feel free to design your own customized piece. When selecting your Wall embellishment, keep in mind the size of your wall. Pieces can vary is size, shape, depth and weight. The idea is to decorate the room, not overtake it! With so many different decorating trends to choose from this fall, the one that seems to be getting designers and their clients excited is the fashionable French style. This trend is gaining popularity because it can be versatile, charming and vogue. With its timeless décor elements complimenting any room design–even contemporary and classic, it’s no wonder it is such a popular interior design style. Those that yearn for a comfortable nesting area with a cozy cottage feel will be drawn to the picturesque Country French fireplace mantel. Its South of France country mix features a touch of nature feel with hand-carved floral accents and a leaf cartouche perfectly combined with Rustic elements and an antique finish. The interior that features this stylish piece is sure to become your favorite room to relax in. For the cultivated person that prefers a more sophisticated elegant dwelling, add a Parisian Old World Style to your new Interior Design. The romantic Camelot Mantel or detailed Florenzia Fireplace Mantel & Surround will add a dramatic beauty and glamour to any room setting it furnishes. When either of these divine mantels are coupled with a vivid wall color or textured wall paper, it intensifies the exquisite surrounding that you will look forward to spending time in and will become a focal point to be admired when entertaining guests. To add some additional indulgence to a French Interior Design, incorporate some French antique accent pieces. Historical 18th and 19th century accessories reflect an indignant European time period and add an enduring quality to an already aesthetically rich environment. A French Iron antique fireplace fender can be added to any French Style Fireplace. 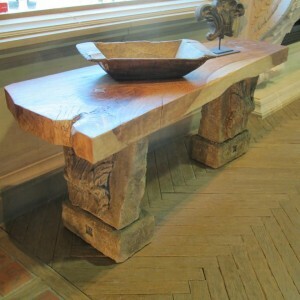 It will compliment the room style and make the Mantel centerpiece even more magnificent. So no need to pack your bags and travel overseas – your love affair with France can start right in your own home. **All the French style Mantels, Surrounds and accessories mentioned can be found in the Realm of Design website online store. https://realmofdesign.com/wp-content/uploads/2019/01/Florenzia.jpg 1068 1024 Carla https://realmofdesign.com/wp-content/uploads/2018/12/logo.png Carla2012-10-04 20:11:432019-04-09 20:00:22GO FRENCH FOR FALL! In Honor of Christopher Columbus sailing by ship to find a New World, Realm of Design wants to help you discover your own New World within your home by offering FREE SHIPPING on any Realm of Design product—this includes Fireplace Mantels, Surrounds, Accessories and any other architectural accent. Call Realm of Design at 702-566-1188 or visit us on the web at www.realmofdesign.com and use coupon code “freeship” at checkout. Don’t wait too long, this great offer ends Tuesday October 9th. **offer not valid in conjunction with other offers and offer not valid on previously placed orders. Free shipping within the 48 US States. 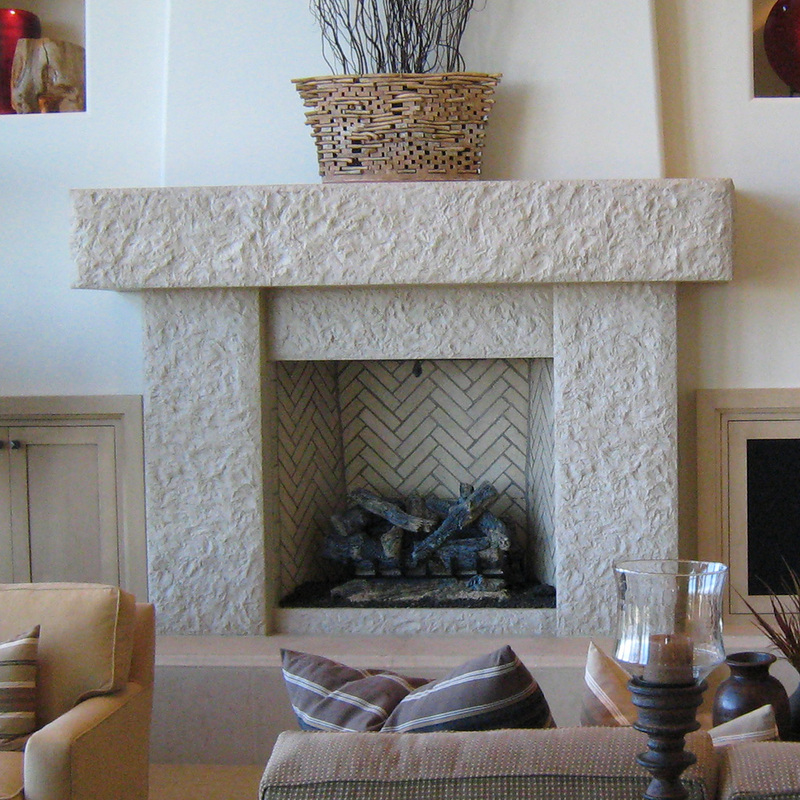 Realm of Design has always believed that a Fireplace Mantel should be the center point of a room. And according to Remodeling Magazine, creating a striking fireplace mantel is important because it adds not only focus to a room but also adds value to your home. Interior Designer David Kean stated “an engaging fireplace and mantel can provide grandeur for an otherwise ho-hum room or it can “take an already fabulous room over the top.” You can be artistic and creative when designing your fireplace mantel, however it is advised to stay within the style of your architecture. So not only does adding an exquisite fireplace mantel to a room set your house apart from the others in your neighborhood, but it is especially important if you are looking to resell your home. Consequently, consider adding a new fireplace mantel or upgrading your old one because not only do you get a beautiful centerpiece but it can potentially make you money as well. **Be sure and check out the Fireplace Mantels and Surrounds offered as kits in the ONLINE STORE and get some ideas for customizing your own fireplace by visiting the Fireplace Surrounds and Mantels page in GALLERIES. Hi Everyone! Be sure and sign up for our newsletter because we are going to have some great deals and discounts offered to our newsletter recipients. You can find the Realm of Design newsletter signup near the bottom right side of the website page. Thanks! Welcome to Realm of Design’s new website! We are so excited to present our work in this new format and start offering our new architectural accessories to the public through this new site. These pieces are now available to be purchased online through the ONLINE STORE tab. We are still working at getting them all on the site..so please be patient. But be sure and check back often too because most are one-of-a-kind pieces. Please feel free to email us any comments, suggestions, etc.. We look forward to hearing from you. And as always, we thank you all for your continued support and allowing us to share our passion with you. Sincerely– The Realm of Design team. https://realmofdesign.com/wp-content/uploads/2018/12/logo.png 0 0 Carla https://realmofdesign.com/wp-content/uploads/2018/12/logo.png Carla2012-09-13 20:22:382019-04-09 20:00:25Hello Everyone!